Sport specialization has been associated with high volume training that can result is psychological and physiological stress in an athlete. This stress has been linked to an increased rate of burnout in athletes, as well as recurring and overuse injuries in multiple studies. Overuse injuries otherwise known as cumulative trauma disorders, are described as tissue damage that is a result from repetitive demand over the course of time. The term refers to a vast array of diagnoses: occupational, recreational, and habitual activities. Along with these studies the American Academy of Pediatrics (AAP) have released statements on their position against sport specialization to prevent these problems from arising. Children were not always encouraged to specialize in a sport. A factor that may have contributed to this cultural change may be in part due to the increased pressure that coaches and parents place on their children to perform at a higher level to attain a collegiate scholarship or professional contract. In 1993, Ericsson and colleagues proposed a statement that in order for a musician to achieve mastery/expertise in that area you must practice for 10,000 hours. Parents and coaches have adopted this rule and applied it to sports to justify year-round intensive training. Many have adopted and applied this rule to athletes without realizing this was made primarily for musicians. 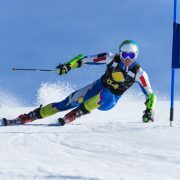 These are high, sometimes costly, expectations for an athlete who performs repetitive, rigorous, sometimes high velocity movements and techniques year round without adequate rest time. Some people ask “But doesn’t focusing on a sport make our youth excel at that particular sport?” Studies have shown that is not necessarily the case. Some studies have even shown that most multisport athletes (participating in 2-3 sports) show more promise to excel in a sport than a specialized athlete due to an increased overall athleticism and better gross motor function. Many professional and collegiate athletes were multisport athletes. multisport athlete. According to Pete Carroll former USC and current Seattle Seahawks coach: “The first questions I’ll ask kids are; “What other sports does he play? Does he play ball? All of those things are important to me. I hate that kids don’t play 3 sports in high school…. I really don’t favor kids having to specialize in one sport.” Dan Starsia University of Virginia men’s lacrosse coach and Tim Corbin of Vanderbilt Baseball both concur with Carroll. If this is the thought process of elite coaches, why, as parents, is ours so different? If the athletes goal is to play in college or to try and make it to a professional level, they need to have an all-around athleticism as most elite athletes do. With many elite athletes being multisport, we need to get away from the thought process that sport specialization will make our children elite. In fact, sport specialization may be the reason a child does not get to that elite level. With burnout and overuse, reoccurring, and surgery required injuries, specializing in one specific sport may actually do more harm. Year round training through a child’s growth spurt period places an increased work load on lengthening muscles and developing joints. During a growth spurt, performing consistent intensive training throughout the year will increase the stress that is placed on muscle attachments and the coinciding joints. This increased work load causes an increased risk of joint and ligamentous damage and injury. The more repetitive the motion…the more risk for overuse injuries. A common overuse injury seen in pitchers, for example, is ulnar collateral ligament damage which can lead to having Tommy John surgery. This is the reason why we have pitch counts to limit the amount of stress placed on the elbow joint and the associated ligaments. play no more hours per week than the child’s age (13 year old =13 hours) with a maximum of 16 hours per week total. 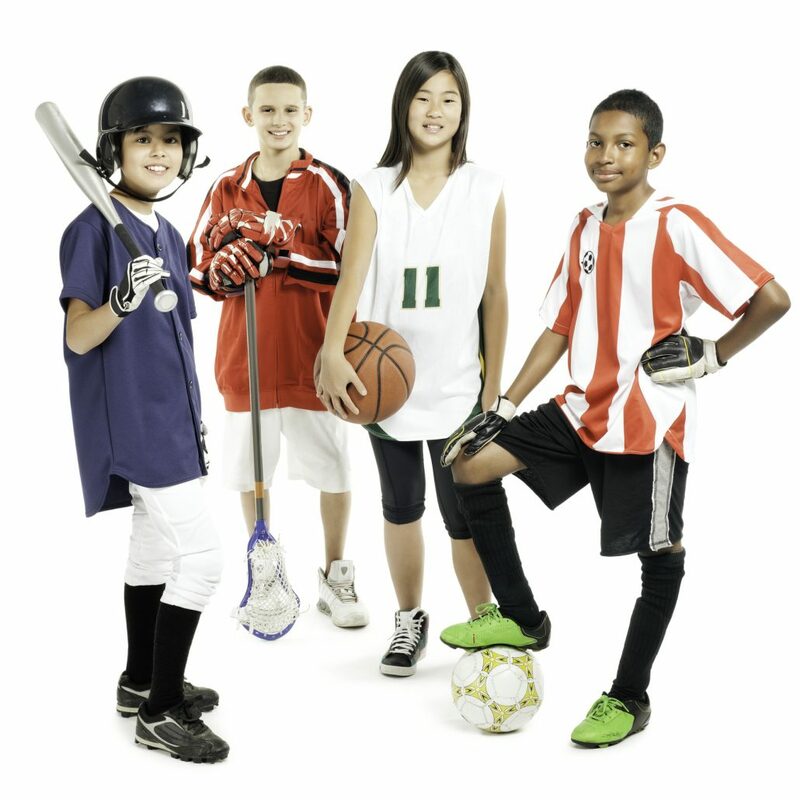 You may ask: “What do I if my child is specializing in a sport or gets injured in that sport?” The first thing to do if a child is injured is to get them examined by an orthopedist or physician. Depending on the findings, the next step would be starting a physical therapy plan to address the injury and to examine the mechanics of the athlete and their sport. The physical therapist will help evaluate each athlete’s situation on an individual basis and help to prevent any further injury or re-injury. If an athlete does not suffer from an injury requiring immediate attention, it is recommended that he or she see a physical therapist to examine their movement patterns and form as well to prevent an injury from occurring and needing any further treatment. Before an athlete gets to that point though, the change must start at home with parents and coaches encouraging children to participate in multiple sports as well as decreasing the amount of pressure to play. After all, the main purpose of participating in sports is for overall physical activity and health and most importantly, fun, and enjoyment! Talk to your children about their goals and encourage them to participate in more than one sport. Once you know their goals, you will know what they want to achieve! Encouraging diversity in sports can help to decrease the occurrence of overuse injuries. Nicholas Harbaugh is a Physical Therapist Assistant at FMH Rehabilitation Aspen Ridge Outpatient Clinic. Nick is experienced in treating orthopedic and sports-related injuries with traditional land therapy techniques as well as aquatic therapy.